Groups are a way of bringing people together to collaborate on books that share a common theme or interest. They can be accessed from various areas of Booktype. My Dashboard has a groups panel combining My Groups (groups which you have created) and Participating Groups (groups which someone else created and you have joined). 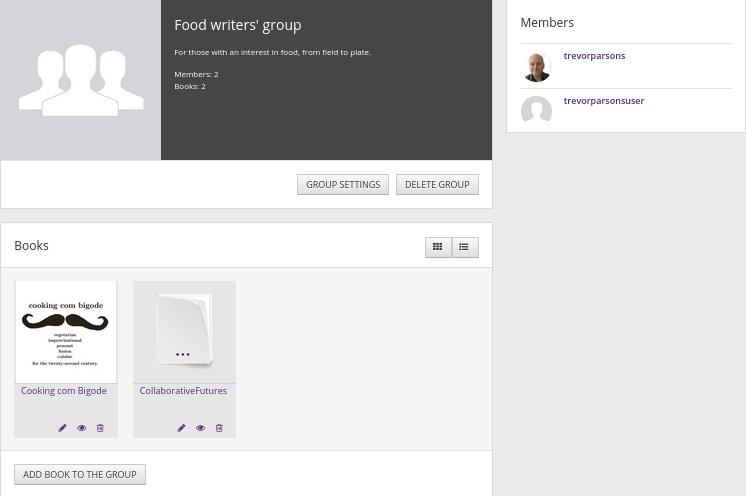 It also has a CREATE NEW GROUP button. 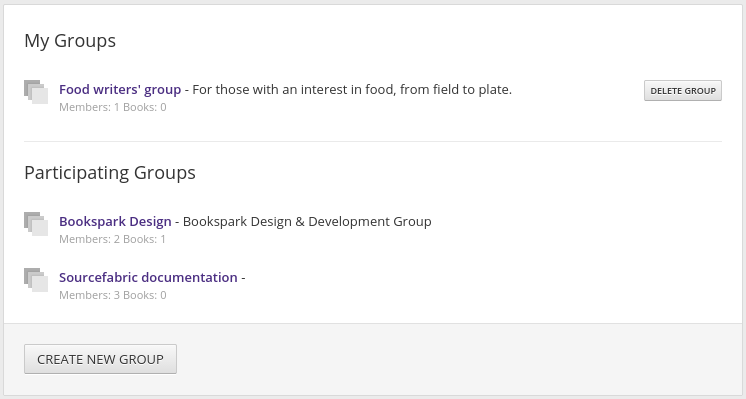 Booktype's Home view, meanwhile, has a Groups panel listing the five newest groups, together with a link to view all groups and a CREATE NEW GROUP button. Click on the view all link to see the All groups page. 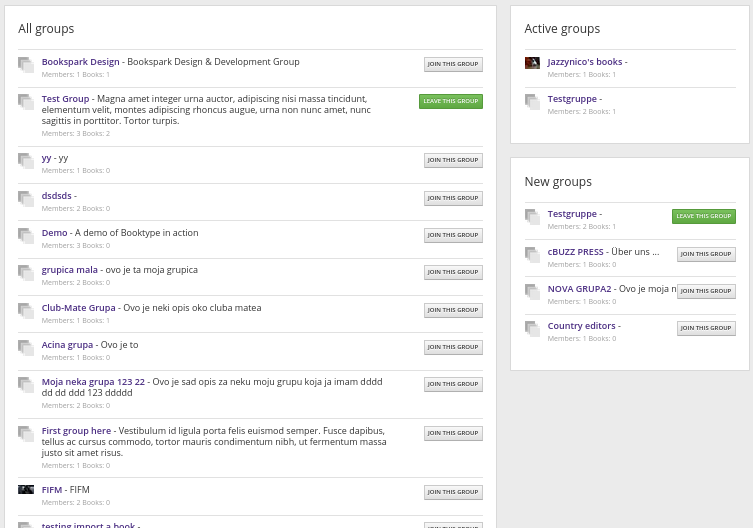 This lists all the groups, and also has panels showing Active groups and New groups. Wherever you see the name of a group, you can click on it to view the group's page. The Members box lists the people who have joined the group, and the Books box lists the books that have been added to it. (A book can be added to more than one group, just as a person can be in more than one group). If you created the group, or if you have administrator privileges, you'll also see a button for GROUP SETTINGS, which allows you to edit the group's name, description and image, and a DELETE GROUP button.